Dr. Roy Seidenberg always appreciates feedback from his valued patients. To date, we’re thrilled to have collected 3 reviews with an average rating of 5 out of 5 stars. Please read what others are saying about Dr. Roy Seidenberg below, and as always, we would love to collect your feedback. I was not a personally a pt of his. I did work under him & I must say he gives 110% to all patients he comes in-counter with ! Ive learned many many valuable things the years Ive worked with him I will carry with me a lifetime. He treated my one month old daughter for very bad eczema.I still follow the regimen hes given me 1.5 years ago & it works like magic ! Not only is he a good doctor hes a great person and mentor ! He listens to his patients and he wont leave until the pt has a clear understanding in everything . You never get that feeling of your doing too much or being bothersome with him. Youve been a great doctor for many years & I would like to say THANK YOU ! You are appreciated ! 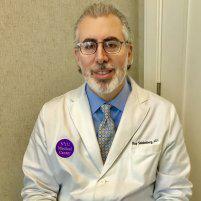 Dr. Seidenberg is an extremely knowledgable and caring physician. He diagnosed my problem quickly and accurately. He put me at ease immediately. The treatment he administered worked very well. I would recommend him to anyone with a dermatologic problem.